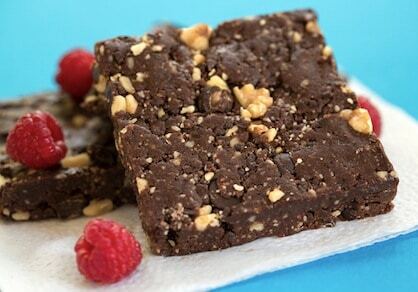 These No-Bake Fudgy Brownies are the perfect treat. They’re vegan, gluten-free, and sweetened with dates. This recipe comes from accomplished cookbook author, Nava Atlas. Nava is also the proprietor over at VegKitchen.com, and she is a generous, kind person who I have the pleasure of calling a friend. 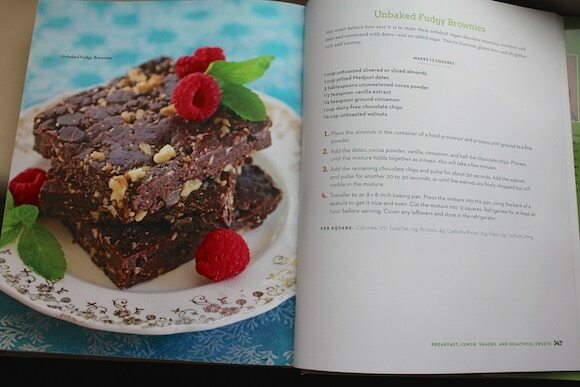 I’m re-publishing this No-Bake Fudgy Brownie recipe that I shared a few years ago comes from Nava’s book Plant Power: Transform Your Kitchen, Plate, and Life with More Than 150 Fresh and Flavorful Vegan Recipes. The book is really beautiful and, even though I don’t follow a vegan diet, I’m always on the look-out for delicious veggie-based recipes. Well, okay, so the recipe I’m presenting from the book today doesn’t exactly include vegetables, but who can complain about raw brownies? The first time I made these, I took them to a potluck. Since the brownies are raw, they only took minutes to make and were a big hit. They are especially appropriate for summer when it really is too hot to turn on the oven. Ideally, you need to let the whole thing chill for at least 30 minutes to an hour so that it sticks together. It’s also advised to use a knife to cut the squares prior to refrigerating, because these raw brownies will get pretty firm. 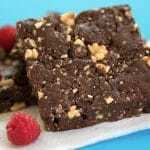 You won’t believe how easy it is to make these unbaked vegan chocolate brownies, rich with nuts and sweetened with dates. They’re flourless, gluten-free, and altogether rich and yummy. 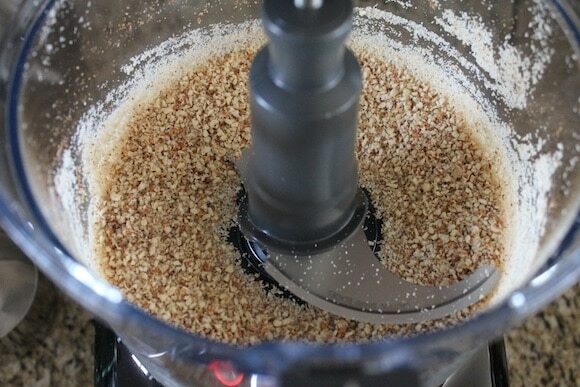 Place the almonds in the container of a food processor fitted with the metal blade. Process until ground to a fine powder. Add the dates, cocoa powder, vanilla, cinnamon, and half of the chocolate chips. Process until the mixture holds together as a mass—this will take a few minutes. Add the remaining chocolate chips and pulse on and off for about 30 seconds. Add the walnuts and pulse on and off for another 20 to 30 seconds, or until finely chopped but still visible in the mixture. 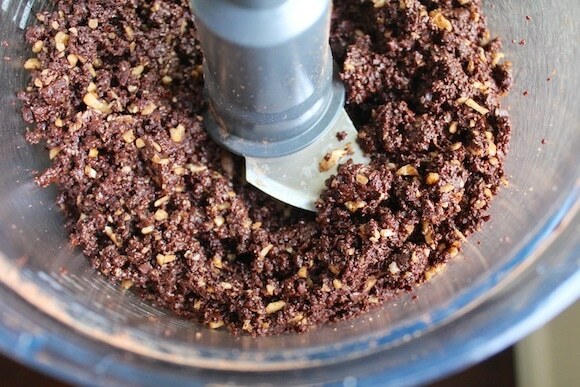 Transfer the mixture to an 8 by 8-inch square pan. Press into the pan, using the back of a spatula to get it nice and even. Score the mixture into 12 squares. Recipe from Plant Power: Transform Your Kitchen, Plate, and Life with More Than 150 Fresh and Flavorful Vegan Recipes by Nava Atlas. ©2014, published by HarperOne, reprinted by permission. Photos by Hannah Kaminsky. 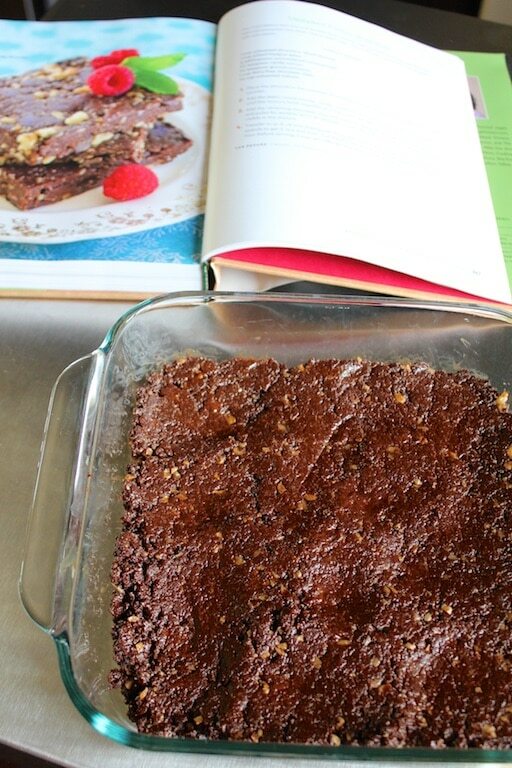 My friends and I agreed that this is one awesome fudgy brownie recipe. YUM! I don’t think I’ve ever tried making raw brownies before. Definitely need to give these a try! I am disappointed that you only allow social media users to enter your giveaway. Those of us who eschew Facebook and Twitter like whole foods cookbooks, too! 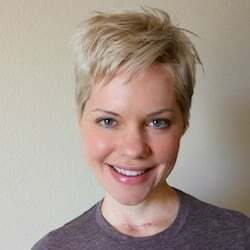 Hi Linda, I can totally identify with you not wanting to use social media, but Rafflecopter won’t let me run the giveaway any other way unless I upgrade to a paid plan (which I used to offer, but my finances keep me from doing that right now). Apologies, but please know I appreciate your input and I’ll see if I can make a change in the future. This recipe is AMAZING! I made it tonight and it was a huge hit with my husband!! I really wanted a chance at wining, but I don’t do social media. Can you add my name to the drawing? I would love to win this book. For the purposes of a giveaway, I’m using the company called Rafflecopter because it protects me from liability (who knew there was liability in running such a simple giveaway…ahhh, life in the 21st century). Anyway, I used to pay for the service where I had more options, such as not requiring social media entries. My business revenue plummeted after I stopped selling my app, though, so I cannot afford to do the paid option anymore. Sorry for the long answer to your short question, but essentially the social media option though the free option with Rafflecopter is my only choice for now. I hope this will change in the future…I am working on an e-book where I will start to earn income again (or, at least, cover the costs of running my blog). Your pictures are gorgeous as always! 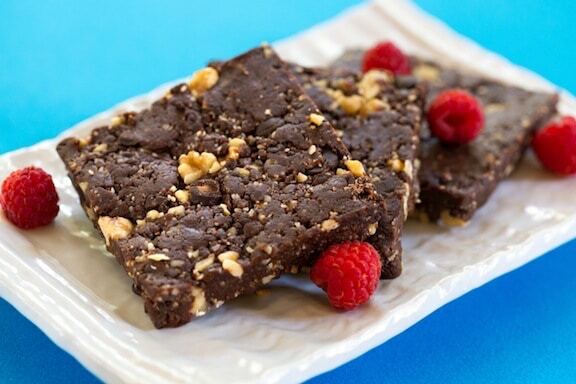 And how could a picture of delicious brownies not turn out?! Can I use almond flour for the ground almonds? If so, how much? I love this no need to bake and looks so delicious! 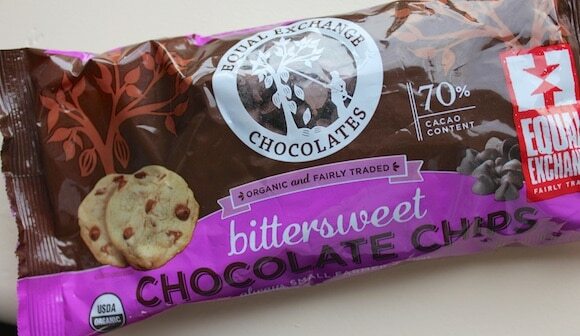 Challenge: make it nut free? Want to play around with this recipe and see if it can be done?? Do seeds count? You could easily swap out the nuts for pumpkin or sunflower seeds!